Sometimes there is more to a photo than just colors, light and dark, meta-data, ones and zeros. It's the moment captured. 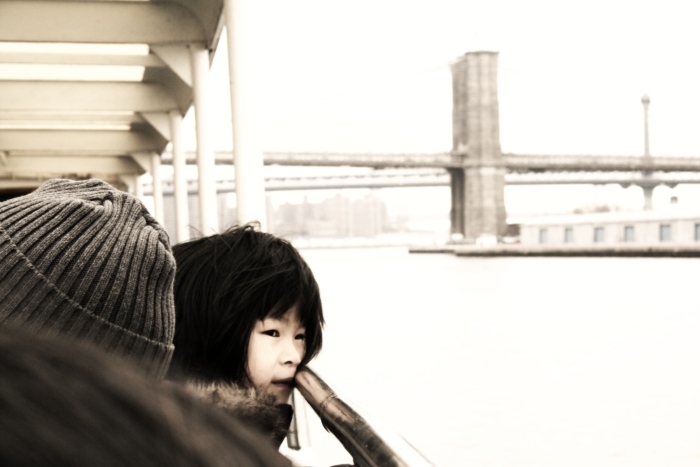 What might this little asian girl have been thinking, sitting on her father's lap with her cheek on the railing, dreaming away while watching the houses of Brooklyn? I would not know, but the moment is saved in the picture.